Yang Wang, a young Chinese Ph.D. student in the group of Dr Ling Peng at the CINaM in Marseille, won the NJC Poster Prize awarded at the 7th Organic Chemistry Meeting of Marseille. His research interests lie in synthesizing different kinds of dendrimers and their bio-application in drug delivery, especially nucleic acids drug delivery. Yang’s winning poster was entitled “Synthesis of amphiphilic poly(aminoester) dendrimers for drug delivery”. Poly(aminoester) dendrimers show great promise as biodegradable nanocarriers for drug delivery due to their advantageous properties: biodegradability, potentially lower toxicity and possibility of diverse chemical conjugations. This work presented the design and synthesis of amphiphilic poly(aminoester) dendrimers bearing amine terminal functionalities for effective drug delivery. Two NJC poster prizes were awarded at the 6th French-Italian Chemistry Days, also held in Marseille and organized under the auspices of the French Chemical Society (SCF). 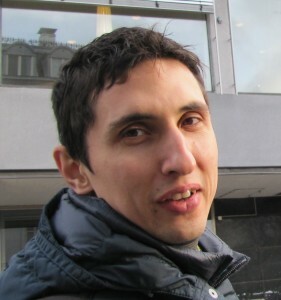 Dr Konstantin Chegaev is a researcher in the group of Prof. Roberta Fruttero, in the Department of Pharmaceutical Science and Technology of the University of Torino. He is focusing his research in the field of anticancer drugs with particular interest to the problem of multi-drug resistance. The title of Konstantin’s poster was “Multitarget drugs: NO-donor doxorubicins”. The major result presented in this work is the reversal of multitarget drug resistance in doxorubicin-resistant cell lines. The use of exogenous NO-donor molecules provoke the nitration of tyrosine residue of MDR pumps with consequent increase of doxorubicin accumulation and toxicity in HT29dx cell lines. The authors believe that NO-donor doxorubicins warrant further investigations in preclinical and clinical settings. 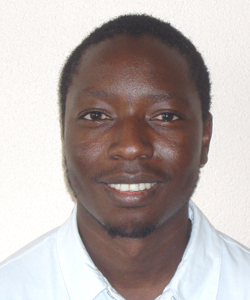 Ph.D. student Momar Toure was the 2nd laureate at this meeting. He is completing his studies in the groups of Jean-Luc Parrain and Olivier Chuzel in the iSm2 laboratory at the University of Aix-Marseille. Momar’s poster was on “Self-assembled calixborate macrocyclic anion receptors“. Well-designed macrocyclic calixborates incorporating imidazolium functinalities were synthesized in high yield. These new macrocycles display a high binding affinity for halides and oxoanions. Congratulations to all 3 laureates! A list of all previous NJC Poster Prize winners can be found here. I attended the first ERC Grantees Conference at the Council of Europe in Strasbourg last month, to hear about the research of recent winners of ERC starting and advanced grants in chemistry. The conference was proposed and organized by two chemists at the Institut Charles Sadron of Strasbourg: Nicolas Giuseppone and Jean-François Lutz. The first two days began with plenary lectures by Jean-Marie Lehn and Ben Feringa, sponsored by Angewandte Chemie (Wiley) and NJC (RSC), respectively. The presentations by 24 grantees of the 2007–2011 grant period were strongly oriented towards complex systems, both chemical and biological. European Research Council officials were also on hand to present the grants program and give an update on what to expect in the coming proposal period. 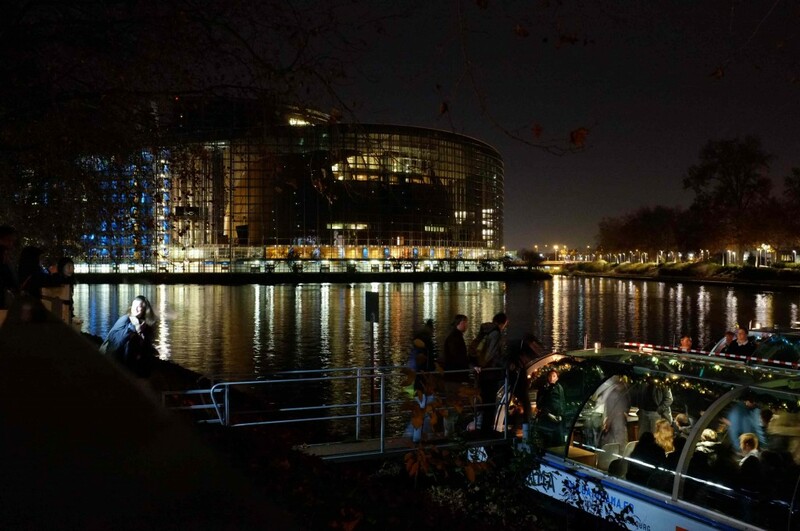 Conference participants board the sightseeing boat in front of the European Parlement that will take them to the conference dinner. On Friday evening, a boat ride on the Ill river flowing through the center of Strasbourg took participants to the conference dinner held at the historic Maison Kammerzell, next to the cathedral. The next morning, the younger participants eagerly awaited the announcement of the four poster prizes, provided by three scientific publishers (Nature, Wiley and the RSC for NJC). 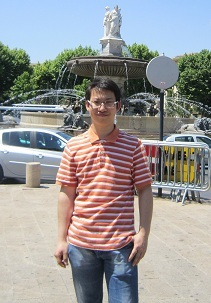 Dr Yan-Jun Liu, a postdoctoral fellow in the group of Damien Baigl (Ecole Normale Supérieure, Paris) won the NJC prize. Her poster was entitled “High-yield preparation of proteo-liposomes: a synthetic biology approach”. At the recent Journées André Collet de la Chiralité conference, the jury selected Dr Flavia Pop for her poster entitled “Hierarchical Self-Assembly of Chiral C3-Symmetrical Tetrathiafulvalenes”. Flavia, who is now a teaching/research assistant at the University of Angers, carried out this work in the group of Narcis Avarvari in the Moltech Laboratory, in collaboration with the group of David Amabilino in Barcelona and with the contribution of Mathieu Linares at the Royal Institute of Technology in Stockholm. Her winning poster presents compounds of C3 symmetry based on electroactive TTF grafted onto a 1,3,5-tris(amido-2,2’-bipyridine-amido)benzene core. Stereogenic centres attached to the TTF units provide self-assembled homochiral architectures (see Figure 1), like helical aggregates of preferential helicity twist. Different chiral alkyl branches were used (isopentyl, citronellyl and dihydrocitronellyl), leading to the formation of fibres or croissants whose helicity was connected with the nature of the alkyl chain, its stereochemistry and the employed conditions. 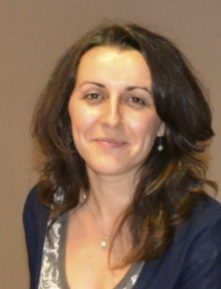 Flavia obtained her Ph.D. degree in 2009 from the Universities of Babes-Bolyai, Cluj-Napoca (Romania) and Angers (France) under the joint supervision of Prof. Ion Grosu and Dr. Jean Roncali. She has continued her research since then at the University of Angers in the field of molecular materials based on electroactive tetrathiafulvalene as the donor in radical cation salts, covalent donor-acceptor systems and chiral disk-shape molecules. 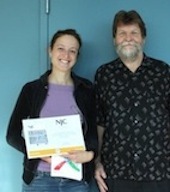 Congratulations to Flavia for her NJC Poster Prize from the NJC team! Two NJC poster prizes were awarded during the 6th International Symposium “Supramolecular Systems in Chemistry and Biology”, which was held in Strasbourg from 5 to 8 September 2012. Mr Sergey Tkachenko won for his poster entitled “Photoactive complexes on the basis of Crown-containing G styrylbenzothiazole and host molecules: components self-assembly and breakage”, presenting his diploma work at the Nesmeyanov Institute of Organoelement Compounds of Russian Academy of Sciences (Moscow) in the group of Prof. Olga Fedorova. 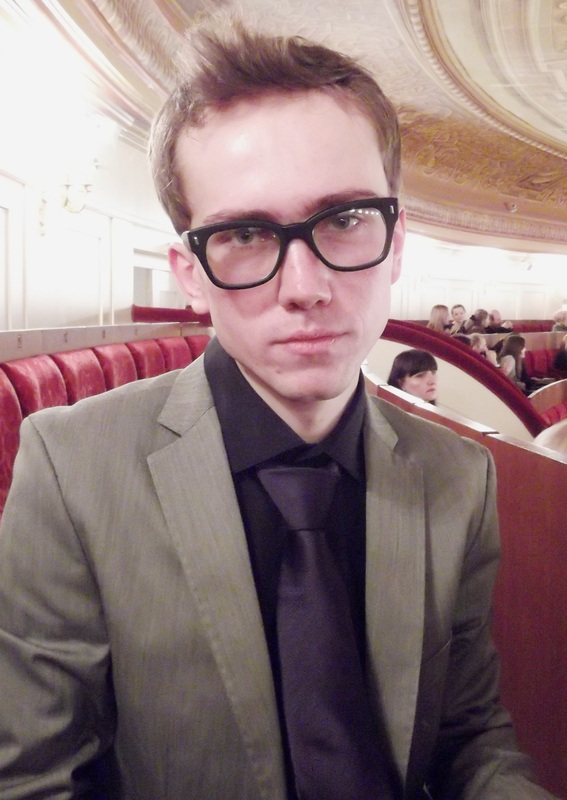 Sergey recently started his PhD at the Mendeleev University of Chemical Technology of Russia (Moscow) under the supervision of Prof. Leonid Kovalenko. 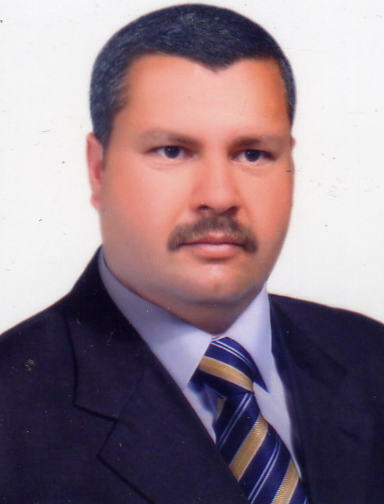 His main research interests focus on supramolecular chemistry of host-guest complexes and photochemistry, and his non-scientific interests include classical music and literature as well as the art of decadence and modern art. The award-winning poster of Dr Benjamin Gruber was entitled “Functionalized Synthetic Vesicles for Sensing & Catalysis”. 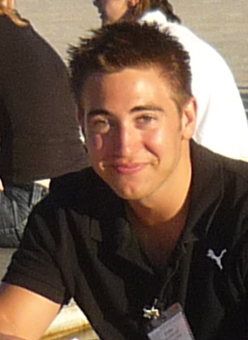 Benjamin just finished his PhD at the University of Regensburg (Germany) in the group of Prof. Burkhard König and he will apply for a job in industry within a few months (Notice to potential employers!). Outside of the lab, Benjamin’s favorite activities are practising sports (running, swimming, volleyball), going out with friends, and cooking. 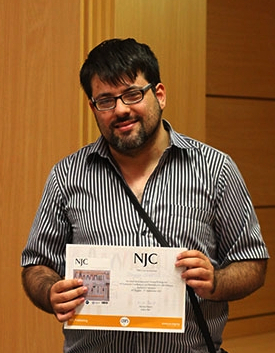 NJC wishes to congratulate the two laureates who received a one-year subscription to the journal and a RSC book. Our thanks go to the organizers of the conference for their help in organizing these awards, and our deep gratitude to all of the senior scientists who served on the jury to select the two winners. NJC sponsored two poster prizes at the recent 3rd International Symposium on Biological Applications of Dendrimers, held in Toledo, Spain at the beginning of September. Below I present the winners. Ladies first! Franka Ennen is a 2nd year Ph.D. student in the group of Dietmar Appelhans and Brigitte Voit at the Leibniz Institute for Polymerresearch (IPF) Dresden, Germany. The group is interested in gaining a fundamental understanding of the interactions of natural and synthetic macromolecules such as dendritic glycopolymers or novel proteins for various applications. Franka chose to do her research thesis work at the IPR so as to acquire expertise in various physical/microscopic techniques such as TEM and AFM. In her poster, “Uptake Behaviour of Oligosaccharide Modified Hyperbranched Poly(ethyleneimine) with Various Watersoluble B-Vitamins” Franka addressed the application of hyperbranched glycopolymers as chromatographic selectors and showed promising first results of oligosaccharide modified poly(ethylene imines) as stationary phases for selective and efficient separation in a chromatographic process, specifically capillary electrochromatography. This work was a collaboration between the IPF and Prof. Dr. Ludmila Anna Kartsova from the State University in St. Petersburg, Russia. The second winner is Pablo Mesa Antúnez, also a 2nd year graduate student. After a first degree in chemistry and a Masters thesis on luminescent doped silica nanoparticles, Pablo is continuing his studies at the University of Malaga, in the Biomimetic Dendrimers and Photonic Laboratory. His research, supported by an FPI grant from the Spanish government and carried out under the supervision of Ezequiel Perez-Inestrosa, is focused on the development of new dendrimers based on amide bonds and with amine-terminal groups for biomedical applications. Pablo’s poster on the “Synthesis of New Amine-terminal Dendrimers. The Alternative Henry Approach”, highlights precisely the possibilities given by the Henry approach in the synthesis of dendrimers to obtain different structures and the relatively easy way to obtain the sought-for dendrimer with the azide approach. The symposium organizers also awarded a poster prize to Rosa M. Reguera, professor in the Department of Biomedical Sciences of the Veterinary School of the University of León in Spain, for her poster entitled “Carbosilane Dendrimers as Chemotherapy against Leishmania Parasite”. With her collaborators, Rosa has developed an in vitro high throughput screening system, which is based on genetically engineered Leishmania strains that emit infrared fluorescence in living cells, to test hundreds of potential antileishmanial compounds. Collaborators include the Immune-Molecular Department headed by Dra. Muñoz-Fernández of General Hospital Gregorio Marañon in Madrid and Drs De La Mata and Gomez of the Inorganic Chemistry Department at the Universidad de Alcalá (Alcalá de Henares, Madrid). In their winning poster, carbosilane dendrimers were used as a drug delivery system to potentiate the therapeutic effect of antileishmanial drugs. Congratulations to all of the winners for their excellent work, and we wish them continuing success in their research! 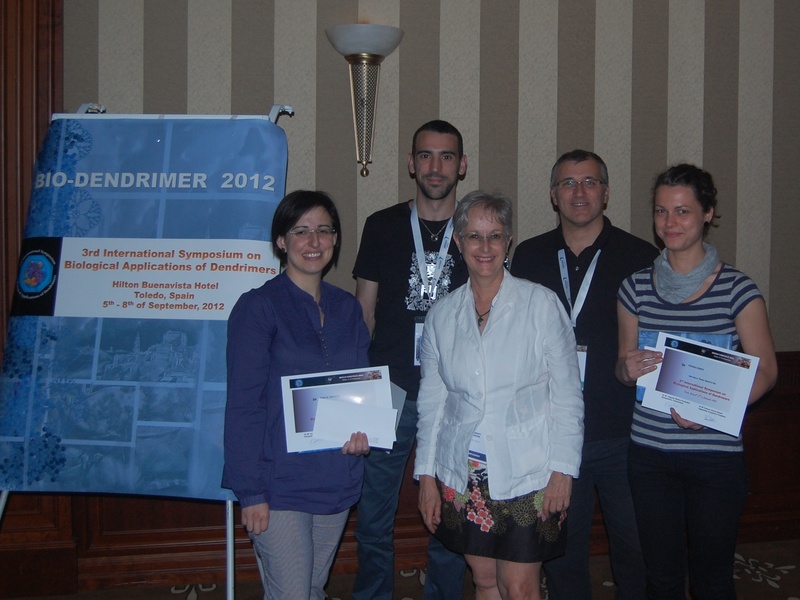 From left to right: winners Rosa M Reguera (University of León) and Pablo Mesa-Antúnez (University of Malaga), NJC editor Denise Parent (CNRS Montpellier), organizer Rafael Gómez-Ramírez (University of Alcalá) and winner Franka Ennen (IFP Leibniz). Summer continues with 6 NJC partner conferences! Following a busy July, NJC will continue to be visible on the conference scene this month and next. Below are the 6 meetings that NJC is sponsoring. Next week Assistant Editor Laurent Vial will represent NJC at the XXVth European Colloquium on Heterocyclic Chemistry (ECHC25) chaired by Prof. Laurence M Harwood. The conference takes place on the beautiful campus of Reading University (UK) from August 13–17. The Groupe d’Etudes de Chimie Organique (GECO) will meet for the 53rd time in Sévrier on the banks of Annecy Lake in France the last week of August (26th to 31st). Twelve renowned organic chemists from around the world have been invited to animate this in-residence week of seminars. In September Managing Editor Denise Parent will be in Spain for two back-to-back conferences. First up, the 3rd International Symposium on Biological Application of Dendrimers organized by Dr. Mª Angeles Muñoz-Fernández. The Biodendrimer symposium will be held in Toledo (Spain) September 5–7 and two NJC Poster Prizes will be awarded at the end of the meeting. Then Denise will be off to Valencia (Spain) for the 40th International Conference on Coordination Chemistry (ICCC40) co-organized by Eugenio Coronado and Santiago Alvarez. Coordination chemists from around the world will take over the Conference Center from September 9–13. NJC is sponsoring the Metals in Medicine (D1) microsymposium taking place on Monday the 10th. The June 2011 themed issue on molecular materials will be available for delegates to take home. You can browse the contents list here. At the same time, Laurent will be attending the 6th International Symposium “Supramolecular Systems in Chemistry and Biology”, taking place in Strasbourg September 5–8. This series of biennial symposia involves research groups from France, Germany, Russia and Ukraine. Two NJC Poster Prizes will be awarded at the end of the meeting. The month will end with the 2nd edition of the Journées André Collet de la Chiralité (JACC). This conference, covering all aspects of chirality, will take place at the Manoir de la Vicomté in Dinard, on the Brittany beach in France, from September 30th to October 4th. NJC is sponsoring a Poster Prize at this conference as well. Please don’t hesitate to contact us if you will be attending one of these conferences. We’d be delighted to meet you! We are pleased to announce the recent poster prizes awarded at the 12th Eurasia Conference on Chemical Sciences held in Corfu (Greece) last month. Gentiana Qendro (University “Planetar” of Tirana, Albenia) was selected for her poster entitled “Investigation of the drug stability at the amorphous state for two aryl propionic acid derivatives using thermal analysis.” Gentiana hold two master degrees from the University of Tirana in both Pharmaceutical Sciences and Law. She’s currently in her last PhD year, working on the adaptation of the Albanian legislation according to the EU directives. Gentiana teaches both Pharmaceutical Chemistry and Pharmaceutical Legislation at the University “Planetar” of Tirana. The other poster prize was awarded to Dr Mohammed Mohammed Ameen Abdullah (University of Mosul, Iraq) for his poster entitled “Voltametric determination of modecate using square wave voltammetry (s.w.v) technique: application to blood serum and urine of schizophrenic patients.” Mohammed was educated at the University of Mosul, where he was promoted lecturer in Chemistry in 2006. He teaches kinetics and thermodynamics for undergraduate students and his research interests focus on the detection of drugs in biological fluids. Many congratulations again from the NJC editorial team to Gentiana Qendro and Dr Mohammed Mohammed Ameen Abdullah on their awards, and to the organizers of this conference for their help in organizing these awards. Want to meet us? The NJC editors at the 2012 conferences & events! Many congratulations to Claudia Heindl who was awarded the NJC poster prize at the 10th Ferrocene Colloquium held in Braunschweig, Germany, for her poster entitled ”Template controlled formation of spherical supramolecules with fullerene-like topology”. 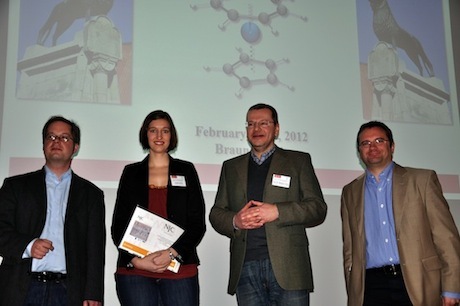 Claudia is a PhD student at the University of Regensburg, Germany, in the group of Prof. Dr. Manfred Scheer and her poster dealt with the use of the pentaphosphaferrocene [Cp*Fe(η5-P5)] (Cp* = C5Me5) as a building block between CuX units (X = Cl, Br, I) for the formation of spherical supramolecules with fullerene-like topology. “In the first fullerene-like spherical supramolecule containing Cp*FeP5 and CuX (X = Cl, Br) as building blocks there was found a molecule of Cp*FeP5 inside the ball. That led to the question, whether there is a template-effect of the pentaphosphaferrocene. And in fact, adding suitable molecules to the reaction mixture, the incorporation takes place. The perspective for the future is to incorporate especially unstable molecules or generate unstable molecules by cleavage of e.g. triple decker complexes. In addition, these nanoballs can serve as hosts for several templates such as C60 and o-carborane”. The NJC editorial team wishes to congratulate Claudia Heindl who also receives a one-year subscription to the journal. Our thanks go to the organizers of this conference for their help in organizing this award. NJC poster prize winners at the 2011 EJCC in Ottawa, Canada. We are pleased to announce the recent poster prizes awarded at the 2011 Entretiens Jacques Cartier Colloquium on 21st Century Catalysis Science and Applications held in Ottawa, Canada on September 29,30. Marianne obtained her PhD degree from the University of Saskatchewan, Canada. During her PhD study she worked on research project that focused on improving the Co/CNT catalyst selectivity for FTS synthesis. ”The most important result of this project is that by controlling the active metal position in the carbon nanotubes (CNT) support, the catalyst shows better selectivity for diesel. Moreover, deposition of the cobalt particle inside the CNT decreases the catalyst deactivation phenomena”, comments on her project results. Marianne now holds a postdoctoral position in Dr. Sayari group at Center for Catalysis Research and Innovation and her future plan is to become a research leader in catalysis for renewable energy. Daniel is postdoctoral researcher in Prof. Tom Baker’s group, at the Centre for Catalysis Research and Innovation, University of Ottawa, Canada. The goal of his project has been to make new, nucleophilic metal fluorocarbenes of non-precious metals for potential applications in fluoroalkene polymerization. A real challenge, as it turns out…Working on this project early two years, Daniel has had success in extending chemistry developed by Hughes and co-workers to cobalt (their work has focused on much more expensive Ir).The syntheses of the new cobalt fluorocarbenes were disclosed in the prize-winning poster for the first time. Preliminary reactivity studies, establish that these new fluorocarbenes of cobalt have the desired nucleophilic reactivity. Many congratulations again from the NJC editorial team to Marianne and Daniel on their awards, and to the organizers of this conference for their help in organizing these awards. 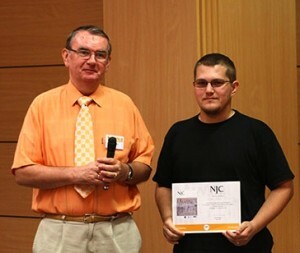 Graduate students from Romania and Greece won the poster prizes sponsored by NJC at the recent European Conference on Chemistry for Life Sciences, the 4th in the series, held in Budapest. Árpád Csog (Univ. Babes Bolyai, Kolozsvár, Romania) was selected for his poster entitled “Heavy Metal Phytoaccumulation by Aquatic Plants (Cabomba Aquatica, Vallisneria Spiralis, Echinodorus Cordifolius)“. Common aquarium plants like fanwort, tape grass and marble queen were shown to remove copper, zinc and cadmium from water. As these plants are easily cultivated and controlled, they show potential for the phytoremediation of contaminated waters. In this project, carried out in the group of Professor Kornelia Majdik, the defense response of the plants to the toxic effect of the heavy metals will also be studied. Dionysios Vourtsis (Univ. Patras, Greece) was selected for his poster entitled “A Solution NMR Study of Native and Mutated Forms of the Anthrax Lethal Factor Catalytic Site Polypeptide“. 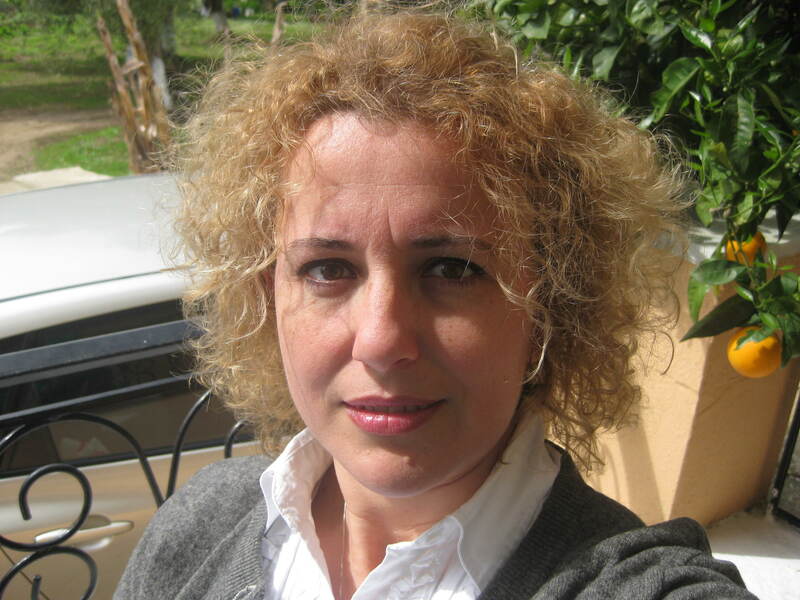 The group of Dr. Georgias A. Spyroulias is interested in elucidating the structural basis of ALF–substrate interactions. The biophysical characterization and backbone assignments of the enzyme’s core protease domain revealed a stable, well-folded structure even in the absence of Zn(II). The NMR structure of the metal-free catalytic core polypeptide exhibits great similarities with the crystal structures of the corresponding polypeptide. An NMR study of the metallated polypeptide is the next objective of this project. Congratulations to the deserving winners, and many thanks to the conference organisers and the volunteer jury members for their hard work! You are currently browsing the archives for the Poster Prize category.